Can I cancel an alert after it is sent? Yes! First go to the map screen, click on the three-dot drop down menu. From the menu select "My Alerts. 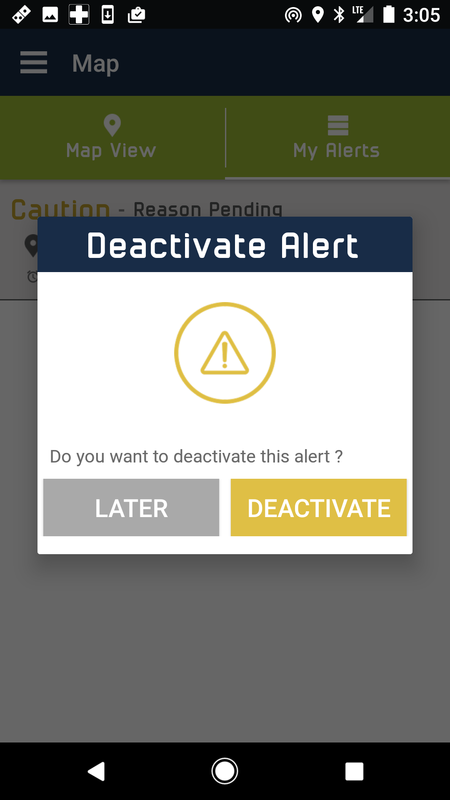 Second, select the alert by holding down on the alert until a "Deactivate Alert" pops up on the screen. 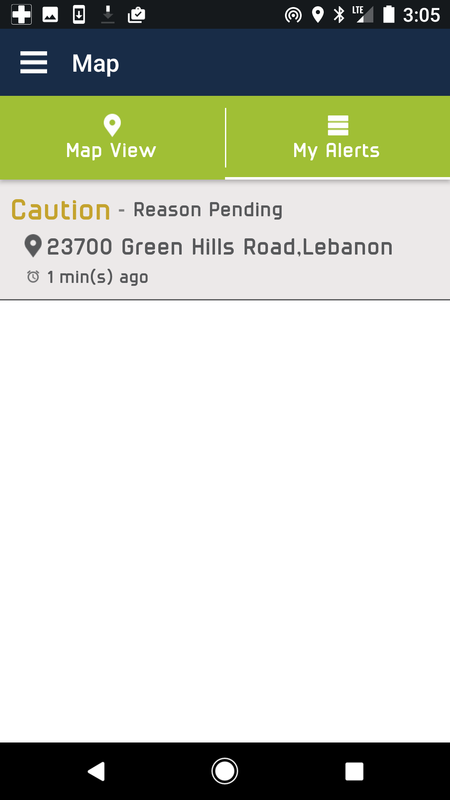 On android you will be prompted to confirm cancelling the alert like below. Note: On iOS, press the alert and swipe to the left, the deactivate command will appear on the right hand side of the selection.